Moissac is a little town of 12 000 inhabitants. Saint Pierre Abbey has been enlisted as a World Heritage Site by the UNESCO since 1998. This abbey, which is both Romanesque and gothic in parts, is a major pilgrim stop on the Way of St James to Compostella. – The cloister, which dates back to 1100, presents a unique collection of original Romanesque historiated capitals, depicting religious scenes, but also plant and animal motifs. 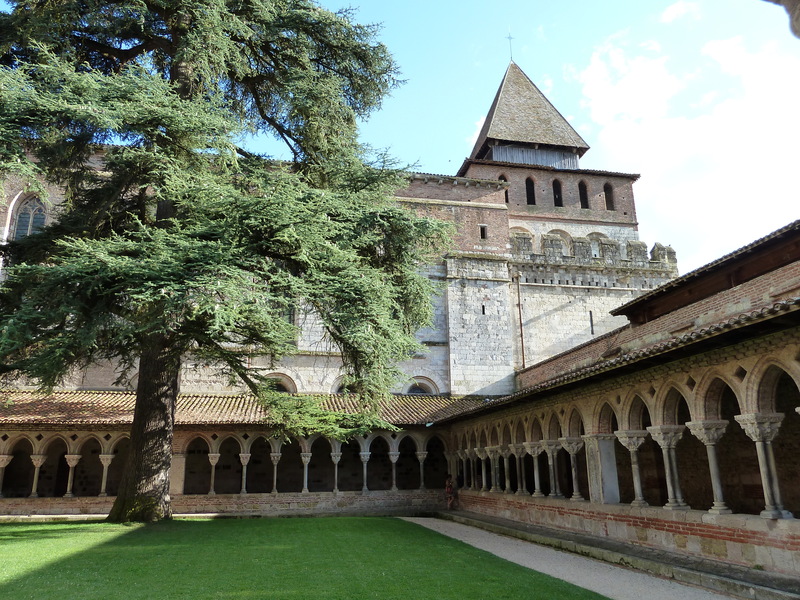 It is known as “the most beautiful cloister in the world”… This place was one of complete silence, dedicated to the meditation of the monks when the abbey was still in service. – the tympanum above the church entrance illustrates the Vision of St John from the Book of Revelation: dating back to 1130 it represents Christ on a rich throne, surrounded by the four Gospel Writers and the Twenty-four Elders of the Book of Revelation. – Saint Pierre church, which is entirely painted inside, presents a beautiful 17th century organ chest, and a 15th century Entombment scene. – the Canal-bridge, on the outskirts of Moissac, is where the “Canal Latéral à la Garonne” overpasses the Tarn river. This bridge dates back to the middle of the 19th century. This is a magical place, the silence being occasionally broken by the peaceful cruising of a barge navigating between Toulouse and Bordeaux. Please note that the biggest open-air market takes place on Saturday mornings, spread-out on the main square (next to the abbey). Another smaller market also takes place on Sunday mornings.